Israel Aerospace Industries (IAI) has unveiled the Mini Harpy, a newly-developed loitering munition. 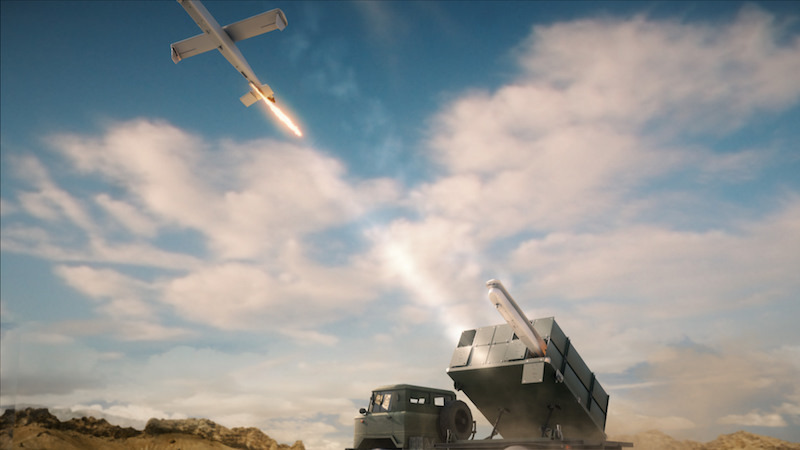 Based on unique IAI development and technology, the Mini Harpy combines the capabilities of the Company’s two flagship loitering missiles, the Harop and the Harpy, offering detection of broadcast radiation with electro optical capabilities. The Mini Harpy will be on displayed for the first time at Aero India Exhibition in Bangalore, India, from 20-24 February 2019 (Hall-B booth #2.1-2.2). • Neutralizing of radiation emitting threats such as radars and additional systems. • Electro-Optical Threat detection: high quality video footage for the operator. • Launching from a broad range of mobile land platforms as well as marine platforms. • Multiple tools per area unit. The Mini Harpy is a tactical system designed for field or marine units. It can be launched from land, marine and helicopter borne platforms, providing complete independence in intelligence collection for an updated situational picture and closing the attack circle at low cost. The loitering missiles are launched towards the target area. They loiter the sky until the threat is detected. Upon detection, the systems locks in on the threat and attacks it for a quick, lethal closure. The system was designed to provide operators with control up to the last moment, including cessation of attach at any stage. Electrically powered, it is extremely quiet, carries shaped charge of approx. 8 kg, operates in mission range of 100 km for duration of two hours and 45 kg in weight. IAI is considered a pioneer in loitering missiles with its Harpy, Harop, Green Dragon and Rotem missiles. Israel Aerospace Industries Ltd. is Israel’s largest aerospace and defense company and a globally recognized technology and innovation leader, specializing in developing and manufacturing advanced, state-of-the-art systems for air, space, sea, land, cyber and homeland security. Since 1953, the company has provided advanced technology solutions to government and commercial customers worldwide including: satellites, missiles, weapon systems and munitions, unmanned and robotic systems, radars, C4ISR and more. IAI also designs and manufactures business jets and aerostructures, performs overhaul and maintenance on commercial aircraft and converts passenger aircraft to refueling and cargo configurations.